I recommend them all the time to friends, family and everybody. They are very friendly, professional and they took care of the job and are very convenient. They go beyond what they are supposed to do. They are thorough, they show up within the time frame they give you, they do the job, they answered all the questions I had, they showed up during a holiday, and they are reasonably priced. They know what they are doing. They are good. They did the work quickly. I had an issue with my sink being clogged and we tried someone before them and they couldn't resolve the issue. These guys solved it. 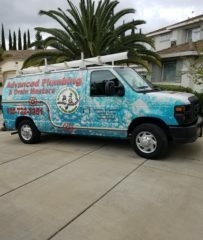 Advanced Plumbing & Drain Master repairs, maintains, and installs all types of plumbing systems for residential and commercial clients in Contra Costa and Alameda Counties. In addition to handling general plumbing work like drainage, faucet replacements, and toilet and sink repairs, the company has the training and equipment to fix and replace sewer lines, install water heaters and whole-house water purification systems, and more. 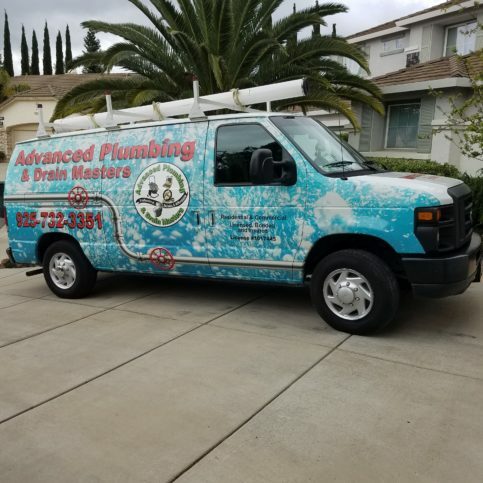 Advanced Plumbing & Drain Master has been repairing, maintaining, and installing plumbing systems for residential and commercial clients in Contra Costa and Alameda Counties since 2013. The company has the training and equipment to handle everything from drainage work and faucet replacements to toilet and sink repairs, and it’s also qualified to fix and replace sewer lines, install water heaters and whole-house water purification systems, and more. Don’t underestimate the importance of having a working knowledge of your home’s plumbing system. Most homeowners don’t know much about plumbing—they turn on the faucet every day and expect water to come out. So, on the rare occasion when the water doesn’t come out, they can be left in a tight spot, unsure of what to do. Q: How long will it take to complete my plumbing job? Q: How quickly can you get to my job? Q: How much will it cost to fix my plumbing issue? Q: What’s the process if I have a plumbing stoppage? Q: What brands do you work with? Luis Barrera is owner of Advanced Plumbing & Drain Master, a Diamond Certified company. He can be reached at (925) 338-0371 or by email. A: A little bit of both. A: Go outside and play with my kids in the rain. ANTIOCH — When your kitchen sink gets clogged, your first instinct might be to call a plumber. However, by using a simple technique, you may be able to solve this problem yourself. Simply cover up the clogged drain hole and turn on your garbage disposal. When the disposal comes on, it’ll create air in the pipe, which should generate enough force to remove the clog and allow the opposite basin to drain. While this may solve your problem for the time being, if you’re having recurrent sink clogs, your drain pipe probably has a lot of buildup. Rather than letting this condition continue to get worse, have a plumber hydrojet the line. Since drain pipes tend to accumulate grease and other buildup over time, hydrojetting your line once a year is a good maintenance measure for keeping it clear. It’s also a good idea to have your plumber perform an in-line camera inspection to identify cracks, leaks and other potential issues. ANTIOCH — Host, Sarah Rutan: If your kitchen sink is clogged, there’s a simple technique you should try before calling a plumber. Today we’re in Antioch with Diamond Certified Expert Contributor Luis Barrera of Advanced Plumbing & Drain Master to learn more. Diamond Certified Expert Contributor, Luis Barrera: Well, it’s an easy and simple tip. You know, most people have clogs in their homes, whereby you don’t really need to use a snake to unclog a sink. You could go ahead and cover the drain-hole on the opposite side of the garbage disposal. Turn the garbage disposal on. The water that’s inside the sink will create air into the pipe, which creates force and unclogs the sink. Easy tip! You don’t have to call a plumber. Advanced Plumbing & Drain Master : Average 9.3 out of 10 based on 35 unique customer surveys of customer satisfaction. It was a while back, but I know we were happy with their service. They were here within an hour or so, which was nice. I thought they were expensive, but they were the first to respond, and we needed someone out immediately. They were there for us. They sent someone out quickly. They are just reliable and reputable. Very good service, great pricing, and they were immediately here for us. They were punctual and on time. They were quick to respond when I called them. They are very honest, reasonable, and they are speedy. They get right on it. He was really nice and helpful. He actually spent time with me to help me understand the process and gave me a hex tool for my garbage disposal. They were on time and fixed the problem. I would recommend that people use them. They have professional and experienced technicians. They are a good company. The fact that they were timely, I am a stickler for being on time. They were very personable and very easy to get along with. They were very quick to respond, courteous and on time. They came in and cleaned up and when they were done which is rare these days for any company to do. It was pretty good, just a plugged drain. They did a good job and they were friendly. I had tried another company before them and it was an exact opposite experience as far as being professional is concerned. They were really kind. I needed an extra part and they found it immediately and replaced it quickly. They are very knowledgeable, they come prepared, and very skilled within their craft. They helped me identify a couple different drains we have in the restaurant. I wouldn't hesitate to try them out.